4,968 ± sq. ft. vacant commercial building with restrooms that was originally a restaurant. Located on a 0.54 ± acre lot with parking. 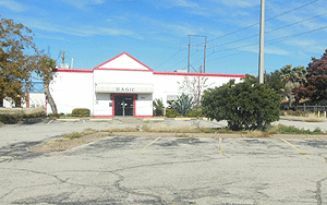 COMMERCIAL BUILDING Per the stated Terms of Sale, this property is sold AS IS WHERE IS. Commercial property for auction. Located on the 4 lane road, close to the Sunset Mall, this property was originally a restaurant, and includes tile flooring, 3 restrooms, asphalt parking and much more!